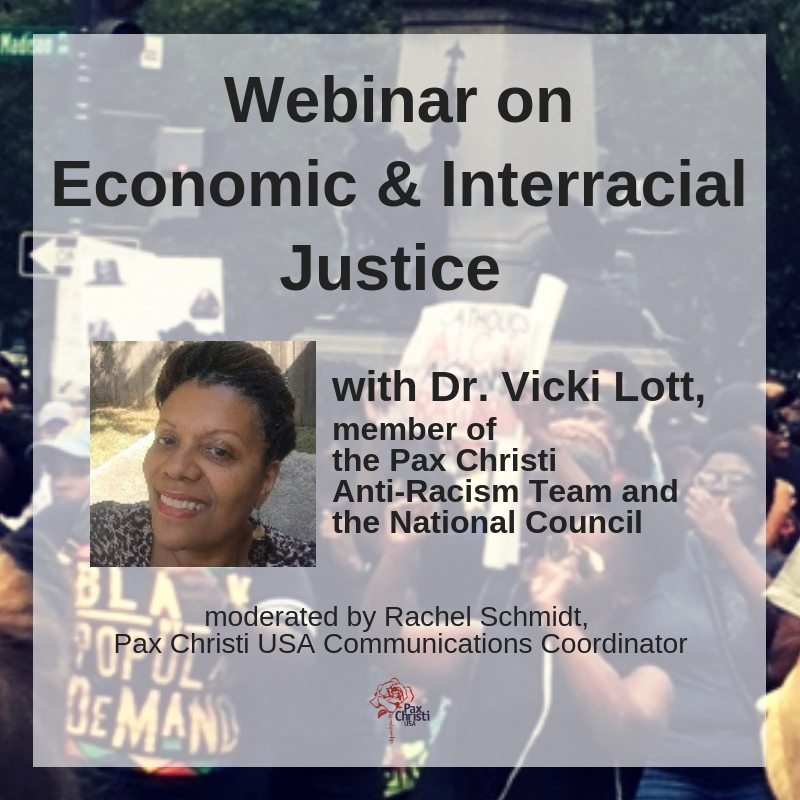 POPE FRANCIS: Pax Christi USA signs onto letter encouraging Pope Francis’ message in U.S.
Pax Christi USA Executive Director has signed onto the following letter being sent to Pope Francis regarding his upcoming visit to the United States. As national religious institutions and faith leaders in the United States, we write to enthusiastically welcome you to our country and its capital. Our public policy advocacy offices in Washington work across denominations and faiths to protect the needs of those marginalized by what is all too often an economy of exclusion. Since the time of the U.S. civil rights movement in the 1960s, many of us have collaborated in Washington to promote U.S. federal policies rooted in the values that all of our faiths share. Our representatives in Washington meet daily with U.S. policy makers in Congress and the White House to advocate for a more inclusive society and a more just, peaceful and ecologically sustainable world. We work together on messaging and strategy, engage our faith-based constituencies across the country, hold interfaith prayer vigils, rallies and processions, and have proposed a Faithful Budget for our nation’s spending. Our efforts have been renewed by your clarity of vision and your bold statement of the truth of the needs of our time. We know that we all need to be called to a change of heart and we are so grateful for your raising up that call. We eagerly anticipate your September visit to our nation’s capital and your address to our national Congress. As people of faith we look forward to your message and are eager to share it with the members of our various faiths and denominations. Our nation needs to hear your words of hope and challenge. Thank you for your willingness to come to us and to lift up your voice for those who are marginalized, peace and the needs of Earth. Please click here to see a full list of signatories.